Guadalcanal's Henderson Field / Name Change? Earle Painter - The Final Flight of the "Rum Dum"
There is much to report in the past month, and a great update with many excellent reports, visits and history from collaborators from around the world. Also, there is a call to universal call to action, to sign an online petition to keep Guadalcanal's 'Henderson Field' name from being changed, see below. Below is information related to another upcoming air show appearance. Getting to meet some of you in person, and veterans of the Pacific are the highlight of this work! Guadalcanal's Henderson Field - Possible Name Change? In May, a proposal was made to change the name of Guadalcanal's "Henderson Field" airport name by a consulting company. In response, Pacific Wreck Database has initiated an online petition to let the government of the Solomons Islands know that thousands around the world still feel the name "Henderson Field" is significant today, and should never be changed. After being online for only three days, the petition has amassed thousands of online signatures, and many moving comments from veterans, relatives and travelers to Guadalcanal. A search and recovery team from the U.S. Army Central Identification Laboratory, Hawaii will deploy Friday, May 2, to Papua New Guinea to excavate a crash site of a World War II B-24D aircraft that went down in 1943 with nine service members. 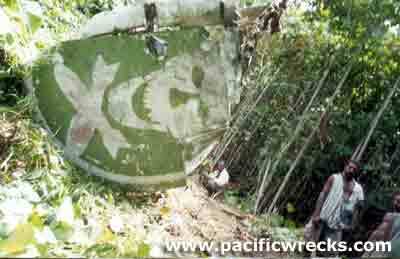 Sadly, on May 8th, a Pacific Helicopter Lhama contracted by the U.S. Army CILHI carrying five personnel crashed into the ocean off the coastline of Lae, Papua New Guinea. There were three personnel from the U.S. Army Central Identification Laboratory aboard, a representative from the Papua New Guinea National Museum and a Pacific Helicopter pilot. The pilot was killed, one of the CILHI personnel was injured and is in stable condition at Angau Memorial Hospital, Lae, and the others are in good condition. The CILHI team has suspended operations and will be returning to Hawaii. During WWII, many Japanese soldiers were captured by the Allies from conquered positions. Learn the story of how a set of haunting "Ghost Photographs" depicting young Japanese aviators was sent to us by Veteran Jack Heyn, who asked us to try and locate the relatives of the men pictured. With the help of esteemed collaborator, Alfred Weinzierl, and a newspaper article in the Sankei Shimbun Newspaper in Japan, three of the relatives now have copies of these photographs. Learn about the efforts of people all over the world to make this story happen. A gripping account sent by nephew, John Painter, about his uncle Earle's enlistment and training at age 19, and going to war with the 13th AF as a replacement B-24 crew. And, the gripping account of their final mission over Truk when the aircraft was attacked by Zeros and crashed, killing the crew. Jung has been involved with aviation archeology and PBY research in northern Australia. Also, landmark legislation to protect wreck sites, and advocate for their protection as archeological sites. In an interview with Pacific Wreck Database, he shares details about his work and roles in preservation. Reports of his latest wreck explorations, including two B-24 and one B-25 wrecks, and the story of the 90th BG B-24 ""Ten Knights in a Barroom". As always, we are amazing with John and his 'Wreck 'tec' work in locating wrecks, and thank him for presenting his findings on Pacific Wreck Database. A comparative study of sites in Melbourne during WWII and locations today. The 1st Marines took their furlough in the city at the conclusion of their campaign on Guadalcanal. Melbourne was the only large city the 1st Marine Division saw until the end of the war. For the next 12 months the volume of Marine mail to and from the city exceeded the volume to the United States. Many enduring friendships were made, many hearts broken and many Aussie girls married Marines! Because we continue to receive numerous inquiries regarding the personnel, aircraft, missions and losses of the 5th Air Force (and more recently the 13th Air Force), we decided to offer a Missing Aircrew Report (MACR) service, along with guidance on where specific material might be researched. US Deputy Assistant Secretary of Defense and Director for POW matters, Jerry D. Jennings hosted the President of Aerothentic Publications Michael Claringbould in Port Moresby at a diplomatic function on the evening of 30 May 2003. Jennings wanted to thank Claringbould for his ongoing work in assisting MIA recoveries in New Guinea. At the function Claringbould presented Jennings with copies of his books as well as a copy of Pacific Ghosts CD ROM. In Port Moresby Claringbould also held discussions with Jean Mansavage PhD, an analyst on MIA issues who is attached to the Office of the Secretary of Defense. "No Atheists in a Foxhole"
Powerful diary entry that relates to Kenneth Paul Meriam's service with the 49th FS. From the powerful section "Writings from the men of the Fifth AF"
by Chuck Thompson. 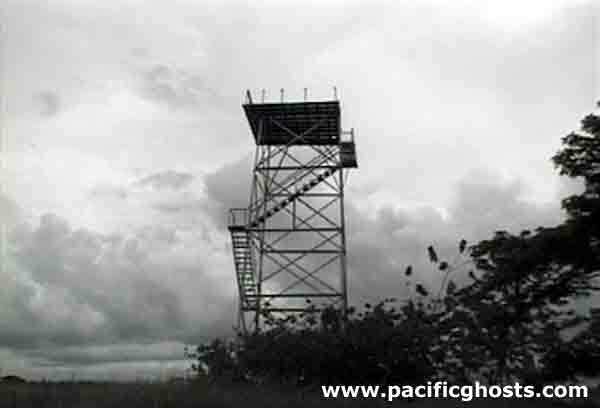 Ever consider traveling to the real Pacific battlefields of WWII? If so, this is the essential travel and history reference for 25 of the best sites in the 20 million square miles of the Pacific theater. As this book proves, even for those who only dream about travel, it is still an impressive reference to the history and sites today. Edward Drea's book is a collection of twelve essays that together sheds new light about its prehistory, foundations, and its leaders. 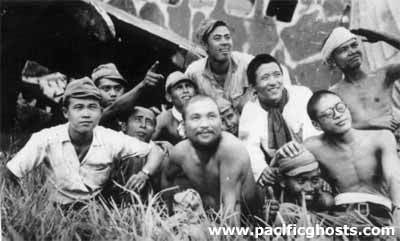 He explores crucial battles and decisions that dictated the IJA's actions during the Pacific War, and concluded with its plans for its fanatical & self-- destructive defense of the Japanese home islands. For anyone interested in learning more about the truth behind one of the most infamous armies in the history of war, this book is essential reading. The phenomenon of 'internet websites' has lead to an explosion of websites related to nearly every facet of WWII. This book covers internet websites related to a variety of topics, and provides a summary review of the website and its contents, and rates them with a 'star system' in terms of content, navigation and aesthetics. This book is a good overall summary of WWII sites on the web, but disappointing for those who seek more specific or Pacific related information. Japanese Type 95 Light Tank, "HA-GO"
This is an independent & unsponsored site, that grows with audience participation. Donations, Submissions and New Information help the site to grow.